BEDFORD, Mass., June 26, 2018 /PRNewswire/ -- iRobot Corp. (NASDAQ: IRBT), a leader in consumer robots, today announced the addition of Ruey-Bin Kao, former chief executive officer, Greater China at Telstra Corporation Ltd., to its board of directors. Kao has more than 30 years of expertise in technology, telecommunication, corporate governance, and consumer business. Dr. Kao has held senior leadership roles, driving revenue growth and profitability, with numerous global companies including Telstra, Applied Materials, Hewlett-Packard, Motorola, Inc. and AT&T Bell Laboratories. Dr. Kao currently serves on the board of Want Want China Holdings Ltd. and previously served as a board member for Autohome, Inc. from 2014 to 2016. In addition to his public board experience, Kao served as a non-executive board member of Shenhua Group Corporation Ltd., now known as China Energy Investment Corporation Ltd., from 2006 to 2012 and has served on the board of China National Travel Services Group Corporation Ltd. since 2012. While most recently at Telstra, Dr. Kao's management responsibilities included building strategic partnerships to enhance the brand, as well as developing and executing an effective growth strategy by identifying areas of potential in the rapidly evolving Greater China market. "Ruey-Bin's rich background in consumer technology and connected devices, cross-cultural management skills and diverse board experience will be integral in establishing iRobot globally in the connected space," said Colin Angle, chairman and CEO of iRobot. "Ruey-Bin brings valuable insights to our team, and we are delighted to welcome him to the board." 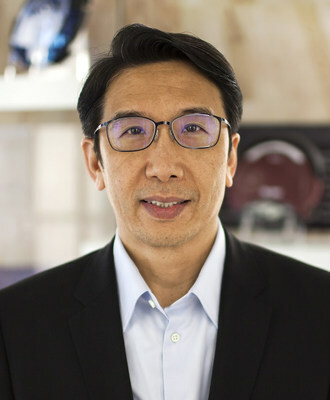 As iRobot continues to grow its global consumer robot business and expand its product offering, Dr. Kao's understanding of the Internet of Things and mobile connectivity will be helpful to shaping the strategic direction of the company. "Consumer robotics is a rapidly evolving industry. iRobot is in a prime position to continue scaling its business globally and build upon its leadership position," said Dr. Kao. "I look forward to joining the iRobot board and working with the executive team to strategically position the company for success in the years to come." On April 30, 2018, iRobot's Board of Directors was named the 2018 Public Company Board of the Year by The National Association of Corporate Directors (NACD) New England Chapter, as part of the organization's annual Director of the Year Awards. Certain statements made in this press release that are not based on historical information are forward-looking statements which are made pursuant to the safe harbor provisions of the Private Securities Litigation Reform Act of 1995. This press release contains express or implied forward-looking statements relating to iRobot Corporation's expectations concerning management's plans, objectives and strategies. These statements are neither promises nor guarantees, but are subject to a variety of risks and uncertainties, many of which are beyond our control, which could cause actual results to differ materially from those contemplated in these forward-looking statements. Existing and prospective investors are cautioned not to place undue reliance on these forward-looking statements, which speak only as of the date hereof. iRobot undertakes no obligation to update or revise the information contained in this press release, whether as a result of new information, future events or circumstances or otherwise. For additional disclosure regarding these and other risks faced by iRobot, see the disclosure contained in our public filings with the Securities and Exchange Commission including, without limitation, our most recent Annual Report on Form 10-K.